Our New LBM – 2X1 Multi-Band Antenna is Now in Stock! Are you looking for something new to try? How about a multi-band antenna that is more compact than most, yet provides excellent performance, all at a reasonable price? The Light Beam Multi-band Antenna (LBM – 2X1) has been developed for Hams who want one antenna which enables them to operate on multiple amateur bands. Over the past 6 months, two LBM – 2X1 test sites have been in operation. Our test site operators report that Hurricane Sandy and high winter winds (over 60 mph) have not been a problem and that antenna performance is excellent. In the meantime, we have been making further improvements to the design to ensure high wind survivability. Our installation instructions have been verified by an independent engineer and Ham, so you can be sure that once you receive your order, you’ll have a successful installation. 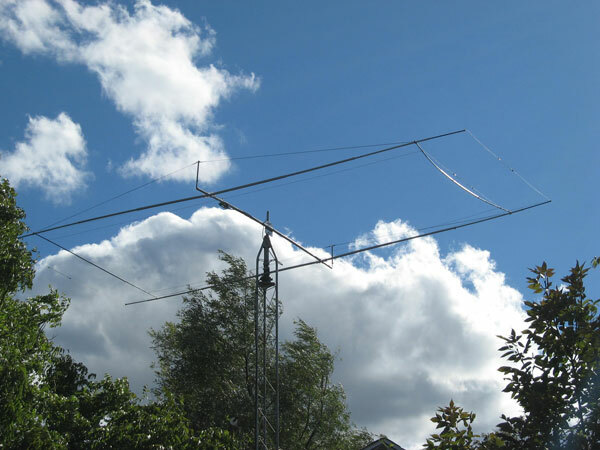 Bill (K4HVH) was kind enough to share about his experiences with his LBM-2X1. Read more and watch his video review here. This antenna is ready for shipment NOW! Purchase your LBM – 2X1 today for only $475! All the LBM – 2X1 details can be found on our website. Our team at Light Beam Antenna is confident that this antenna provides exactly what you have been asking for – a multi-band antenna that is more compact than most, yet provides excellent performance, all at a reasonable price.